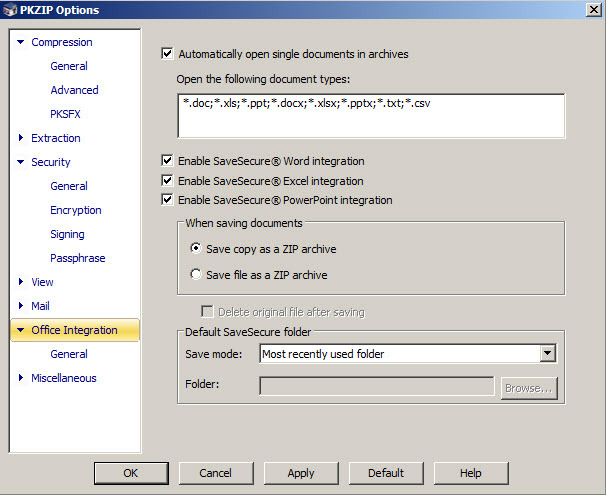 PKZIP is a software to create, open and manage archives with files. It supports not only .zip files, but also other popular types. It has a very good speed while compressing or extracting. Also provides an excellent support service through included manual or online knowledgebase. Is able to create archives very fast and is superior to the majority of its competitors. After PowerArchiver, is one of the best tools when we analyze the speed of extracting files from archives. It doesn't excel at the number of compression formats. 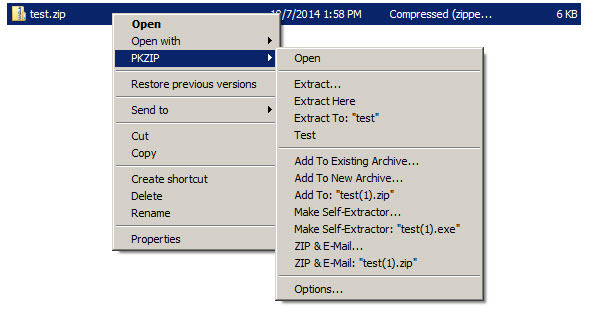 It can create ZIP, GZIP, TAR and other archives, but cannot create .7z (one of the best file format to save hard disk space - see our tests) and .zipx. At extraction formats is better than at compression and supports all popular ones. It has a smart and non intrusive right click menu, although maybe is good to have an icon there to identify the program easily. The interface supports drag and drop to add new files and it has an Office look with tabs. You can organize and sort files added to compression, encrypt archive with password, copy or move archive. Items can be viewed in different modes (small icons, list, with details ..). 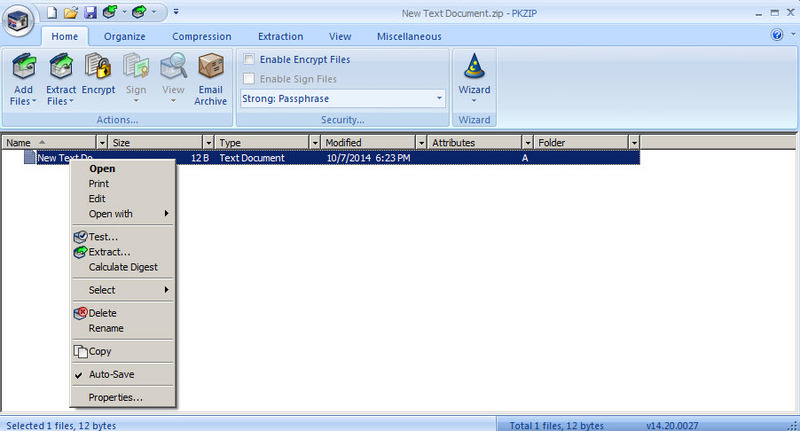 Is able to create self extracting archives (archives as .exe file) and includes wizards to show to beginners how to create, update or extract archives. With a very good speed of extracting and creating archives, this program has a friendly interface, it provides tutorials and detailed documentation. It can be very useful for beginners and also for tech users.